The new Dynamic Swimspa is an excellent blending of two worlds. 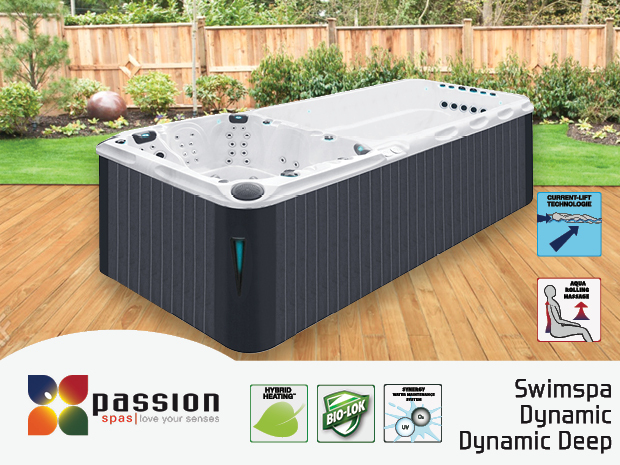 On one side you have all the comfort and therapy benefits of the Pleasure spa (page 19), on the other side the swim function that is equipped with Passion Spas’ unique River Swim System™ and Current-lift Technology™. 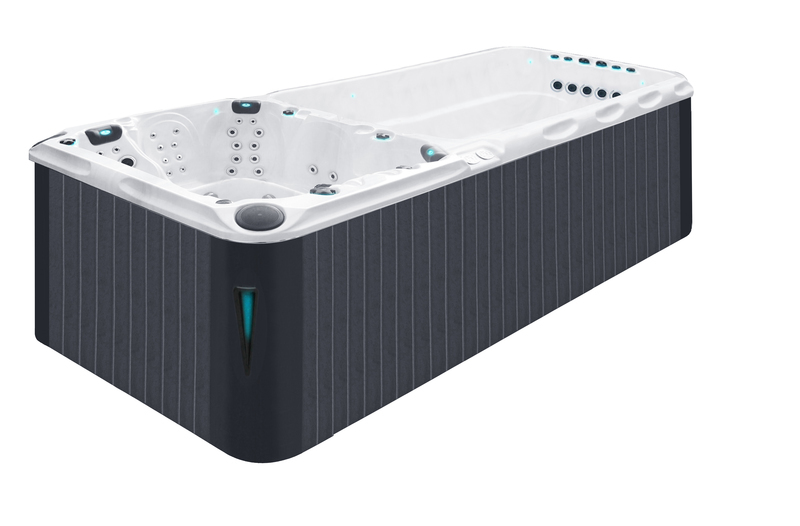 The River Swim system exists of 5 large swim jets, positioned linear to each other, creating a steady flow of water over the entire width of the swim spa. You can control the intensity of the water stream, and when doing so, the flow is equally divided over the whole width of the current. Because this unique technique, the water stream covers a wide area and is effectively positioned below the water surface, enabling you to swim with your head comfortably above water. If you decrease the intensity of the River Swim System, the Current-Lift Technology is automatically activated, enabling the swimmer to remain in the prone position.